Designed to interlink with the RISE program, eight competitive scholarships have recently been made available to undertake full-time PhD research at Monash University. 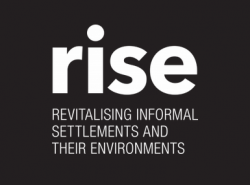 Successful applicants will work side-by-side with the internationally-acclaimed RISE senior researchers as well as the in-country partners and RISE teams in Fiji and Indonesia to pursue their research. The broad areas of PhD research have been established; however there is ample scope for each PhD researcher to develop their own research profile and expertise. This will be encouraged along with cross-faculty and discipline cooperation in line with the interdisciplinary nature of RISE. Expressions of interest close 1 May 2018. Details of eligibility requirements to undertake the PhD are available on the Monash University website.